By now, you know all there is to know about the Nexus 5X, don't you? You've seen it in leaked press renders and on Amazon India, you could recite its specs by heart — the 5.2" 1080p display, the Snapdragon 808 processor, the GSM and LTE bands in its FCC documents, and more. What you really, really, really, really, really want to know is WHEN, GOOGLE, WHEN? And that answer is coming soon, sooner than you think. We've come across some information that we've no reason to doubt that tells us pre-orders should be open tomorrow, September 29th. You won't be waiting long after Google announces the phone to be able to start throwing money at your screen. 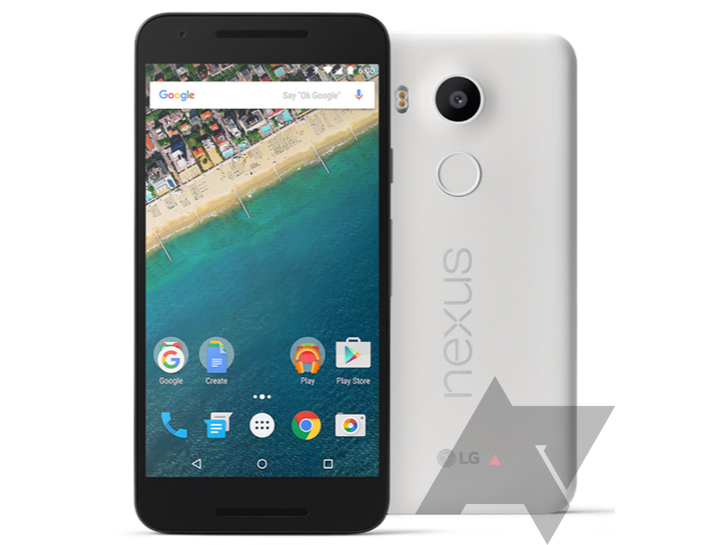 As for the amount of money to be thrown at said screen, we're expecting the Nexus 5X to start at $379.99. That's most probably for the 16GB version of the phone. The 32GB option should be more expensive. Official color denominations will be Carbon, Quartz, and Ice Blue. The pre-orders will only be available on the Google Store, not in carrier stores, that's what we're hearing, and for the Nexus 5X, they'll be live in the US, UK, Korea, Japan, and Ireland. Yeah, I see no Canada in that list. That's... weird. Maybe our friends in the Great White North will have to wait a bit to get their hands on the least expensive of the two Nexuses.